WORLD BEARD DAY! 6th September. Let it grow. It’s that wonderful time of the year, September sixth, World Beard Day! When the bearded march hand-in-hand. 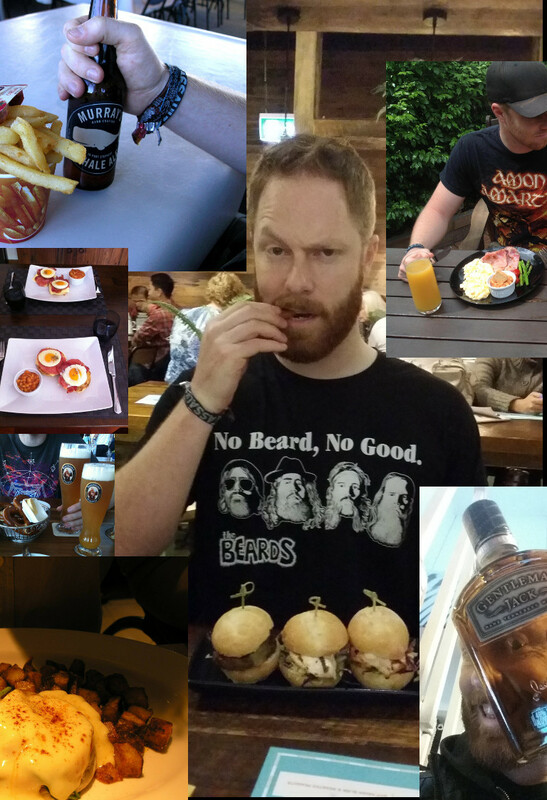 Let me introduce you to my friend and constant companion: my ginger beard. It requires regular care to maintain its peak performance, but the benefits are EXTRAORDINARY. If you are a beardless lady-writer &/or reader, today is the day to show solidarity with the bearded men in your life, like so! Prepare to approach every situation with utmost confidence. You are a bearded man! This point is pretty much self-explanatory. Your mileage may vary. FACT: beards lessen the impact of punches, punchlines, low flying geese, and LESSER-KNOWN-BUT-MORE-TRUE-FACT: the tickling tangle that is your significant-other’s hair whilst spooning. Conditioner goes in before you wash, and gets rinsed out at the end of your shower. This step takes the edge off those surprise belly raspberries that our loved-ones deserve from time to time. Using the big teeth, comb down the face. This gets more water out, and makes the whiskers lay down, important for the next step. With a 1cm setting, clipper DOWN the face, NOT LIFTING THE HAIRS. You’re only cutting the ones that weren’t willing to lay down at step two. And there you have it. You’re already on the way to bearded glory. If you need more beard inspiration, check out The Beards, a fantastic novelty band from Australia, whose songs include the classics “If Your Dad Doesn’t Have a Beard, You’ve Got Two Mums” and “All the Bearded Ladies”. Their music would be brilliant even if they weren’t entirely beard related. Well, that’s it for this (slightly silly) post. I’ve only got a few weeks left before I’m meant to have the novel re-write finished, so I’d best get back to that. Remember to link to your own beard pics, and I hope you enjoy yourself this World Beard Day! Maybe read a good book (preferably a fantasy epic, with acceptable bearded characters such as dwarves and rohirrim). *No responsibility taken by D.R.Sylvester for bee-stings acquired in the pursuit of hirsute face-fulls of bee. EDIT! 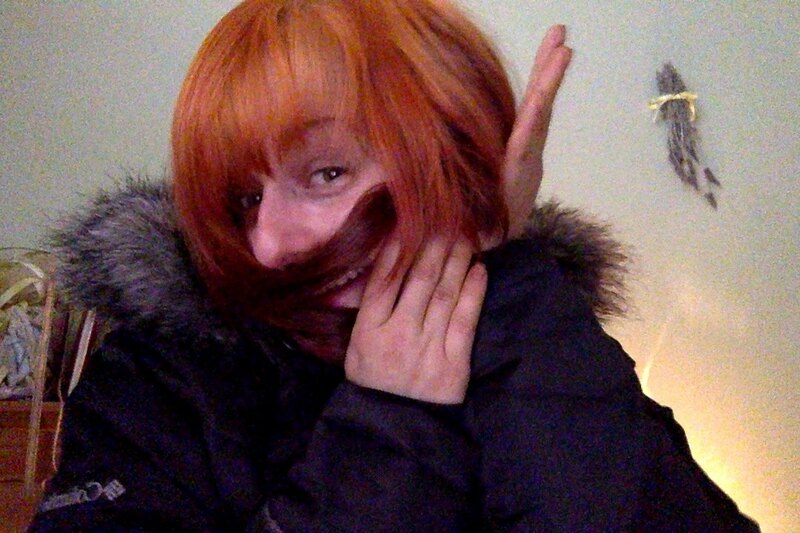 We’ve had our another bearded lady contribution from the facebook page! THANK YOU!! 2ND EDIT! 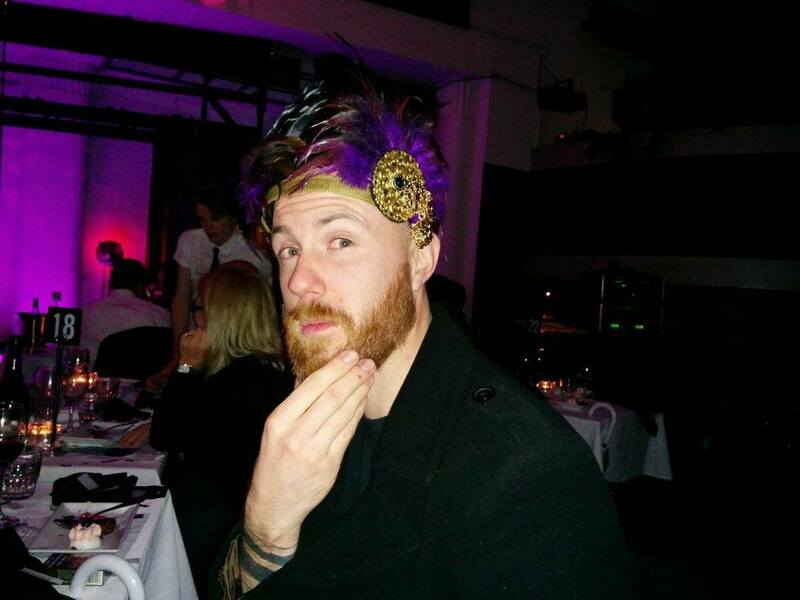 A bearded gent submission, in fancy headgear. Much thanks, sir. This entry was posted in Beards, Books and tagged Bearded Love, Beards, Beards beards, Beards beards beards, books, Diet, Fitness, Reading, Shaving, World Beard Day 2014, Writing. Bookmark the permalink. 4 Responses to WORLD BEARD DAY! 6th September. Let it grow. What a fun post. You are a riot!